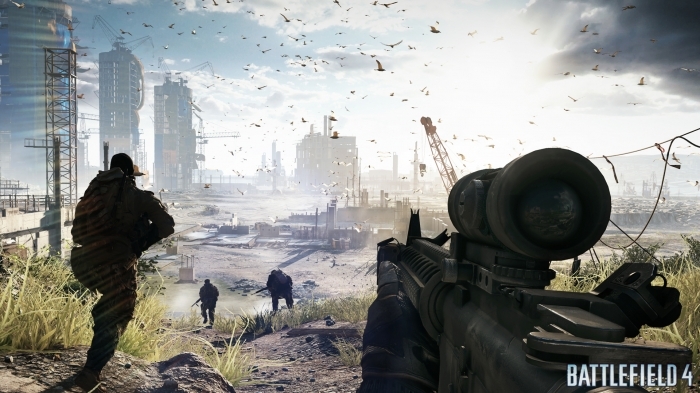 Battlefield 4 has suffered more than its share of problems. The most common are the “netcode issues,” which include glitches, latency compensation problems, and more. Today, DICE released an update explaining their steps to improve the situation. They have already improved the latency compensation and fixed some of the rubber banding issues. They also fixed a glitch where the game’s kill card displayed an active opponent as having 0 health, collision mistakes where it was impossible to shoot past a broken object, PC bugs with vanishing crosshairs and hit markers, and inconsistent bullet impact sounds. They also have added an icon to notify players when they are killed by a headshot, to reduce confusion over whether one-hit kills are correct, or produced by glitches. They are still working on the remaining rubber banding issue, glitches with the kill camera and other features being out of sync with the player’s death, a bug where weapons stop inflicting damage, a physics glitch in which sprinting could lead to sudden death, and several other issues. They are also considering increasing how often the game’s world is updated on certain servers. Finally, they added two new icons to Battlefield 4 to make problems clearer. One is a clock icon that will appear on your screen when you are experiencing network lag. The other is an icon made up of four squares, which means your connection is losing information between you and the server. Both of these should help you understand what might be causing problems in your game session. You can read DICE’s full post to learn all the details of their fixes and planned fixes. It’s sad that Battlefield 4 has had so many problems, and we hope they can straighten it out soon.